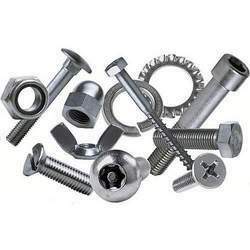 We are engaged in exporting and supplying a comprehensive range of Monel 400 Fasteners. All of the products are quality tested depending on various parameters to ensure that our customers receive flawless products. They are offered in various dimensions and sizes. 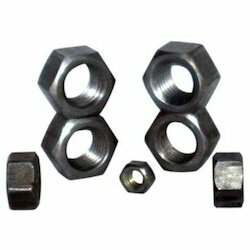 Hitesh Steel is a highly acclaimed name in the universal market for manufacturing of best quality Monel Bolts. Each piece of our monel Bolts is developed in our sound infrastructure using top grade rust resistant steel to provide the clients long life service. 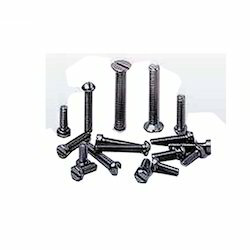 Our range of monel Bolts is used in various industrial operations. We offer monel crews in monel 400 grade as per the following specifications. Pan head slotted screws, cheese head slotted screws, countersunk head slotted screws, countersunk raised head slotted screws, pan phillips head screw, countersunk phillips raised head screws, slotted cheese trim head machine screws, socket head allen cap screws, allen countersunk socket head cap screws, socket head shoulder screws, socket head cap screw low head, hexagon socket set screw with flat point, hexagon socket set screws with cone point, hexagon socket set screw with dog point, hexagon socket set screws with dog point, hexagon socket set screws with cup point, imperial socket cap screws. Looking for Monel 400 Fasteners ?